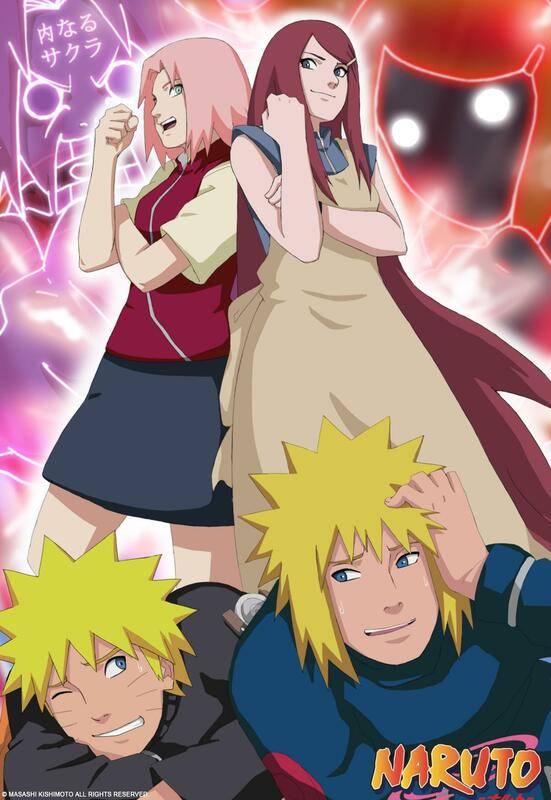 Sakura-Kushina-Naruto-Minato. . HD Wallpaper and background images in the naruto shippuden club tagged: kushina minato sakura naruto naruto shippuden. HA HA HA. Nice picture, Sakura and Kushina look tough and kind of scary though.